Looking for a fun workout? 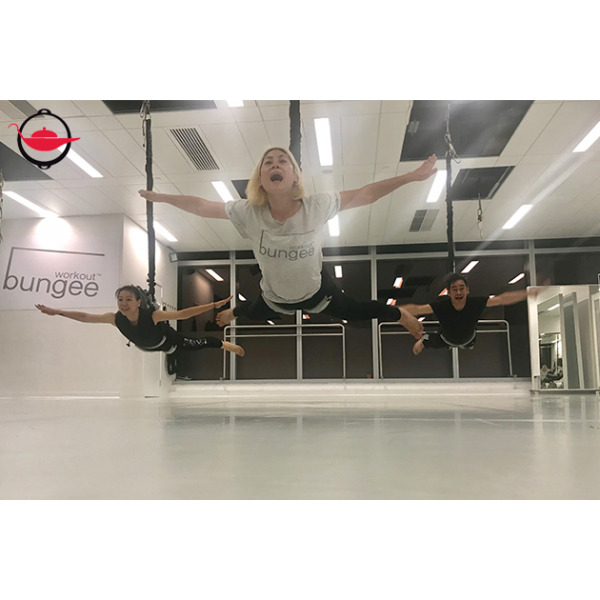 Join us to try out the Bungee Workout, the newest fitness trend in Hong Kong, to break a sweat with a friend! 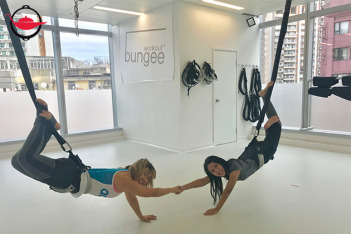 Bungee workout is a low-impact, motion-based resistance program that gives you an effective exercise in a fusion of dance and aerobics in the air. The experience starts with a warm-up, jogging in a circle, squats, and some brief stretching. Then you will wear a hip harness strapped into one long bungee, which is clipped to an IRATA (Industrial Rope Access Trade Association) certified system. 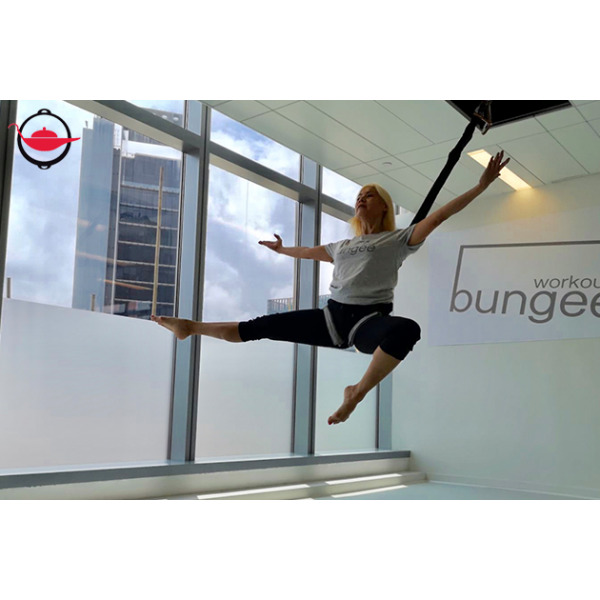 Our professional Bungee master will then guide you to do a series of movements, including Bungee fly, Bungee dive, lunges, push-ups and squats, along with some upbeat music, where you can fully utilise the tension of the bungee to train your muscles. 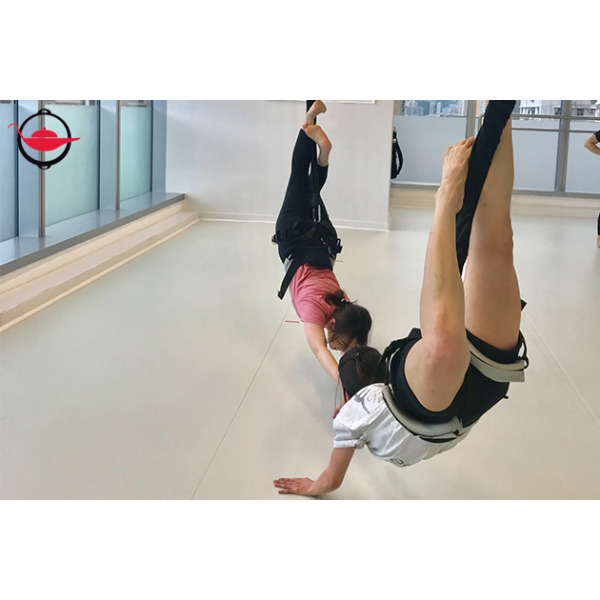 After you pick up the basic skills and movement, you will put them together in a dance-like way, and the floor is yours! You may record your graceful dance moves with your own devices! Q: Is this experience suitable for pregnant women? A: This experience is not suitable for pregnancy. The environment of the Bungee workshop is nice, tidy and clean with good view. I feel comfortable and safe with the equipment. It's professional and reliable. The layout of the class is suitable for beginners who know nothing about it. The instructor is patient to teach us step by step. Overall experience is good and happy. I would recommend for everyone. Just the location might not be convenient for someone who works or live in Hong Kong Island West. The experience was super fun! It's a totally new experience for me to workout with the harness. Alex led us through a series of squats, push-ups, crunches, lunges and dance moves, all while suspended from our bungees. The moves were easier than what I expected. I would say this experience is a great mix of cardio, resistance, and strength! Highly recommend for people who do not feel so comfortable at a traditional gym centre and would love to try out exciting workout routines!